dwellings a new calculation process is required to assess both the target emissions and the proposed building emissions. the issue of building energy calculations and Energy Performance Certificates. designers and consultants, and other interested professionals, will need to familiarise themselves with the new compliance method. The Energy Performance Certificate (EPC) gives home owners, tenants and buyers information on the energy efficiency of their property. It gives the building a standard energy and carbon emission efficiency grade from ‘A’ to ‘G’, where ‘A’ is the most efficient and with the average to date being D.
The EPC is required by law when a building is constructed, sold or let. Builders/ Developers – An EPC needs to be provided to buyers of newly built properties. Landlords – If you are a landlord, you’ll need to make an EPC available to prospective tenants the first time you let a home after 1st October 2008. 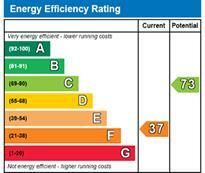 An EPC is only required for a property which is self-contained, and is valid for 10 years. An EPC isn’t required when a tenant rents a room and shares facilities. EPCs for Business premises – As of October 2008, owners of all commercial buildings must provide an EPC when they buy, sell or let commercial premises.